The emergence of new pathogens like West Nile Virus, Ebola, Dengue, and Zika, threaten human health on a global scale. Identification of these pathogens requires a rapid response from industry to develop new tests and the FDA to assess test safety and efficacy. A report in The Journal of Molecular Diagnosticsevaluates the new OpenArray system that offers simultaneous detection of multiple viruses, bacteria, and protozoan pathogens in human blood samples. Investigators determined that this system is a promising tool for flexible, fast, and accurate blood screening. Some highly virulent pathogens may have a low prevalence rate and/or be restricted seasonally or geographically. However, the impact of transfusion-transmitted infection of such agents can have fatal consequences, particularly in highly vulnerable populations such as newborns, the elderly, or immunocompromised individuals. The cost effectiveness of a multiple agent test means that more testing could be done, resulting in safer blood. “All blood for transfusion must be tested for infectious agents. The increasing number of agents that may infect blood and the recognition that some of them only pose a risk in certain areas or certain times means that new methods to streamline blood testing must be developed. The major feature of our OpenArray device, the ability to test for multiple infectious agents at the same time, could be an answer to that need,” explained Robert Duncan, PhD, an investigator with the Food and Drug Administration’s Center for Biologics Evaluation and Research, Silver Spring, MD. Many “singleplex” tests approved by the FDA are available to measure one specific pathogen. Less commonly available are “multiplex” systems that can detect multiple pathogens. The OpenArray platform (Thermo Fisher Scientific) simultaneously tested 17 viral strains in human plasma samples (e.g., HIV-1, HIV-2, Dengue, influenza, Chikungunya) and 13 types of bacteria (e.g., Escherichia coli, Staphylococcus aureas) and protozoa (e.g., Leishmania donovani, L. infantum, Babesia microti) in human blood samples. The individual tests use real-time PCR, which are spatially separated on the OpenArray device allowing a high level of multiplexing. 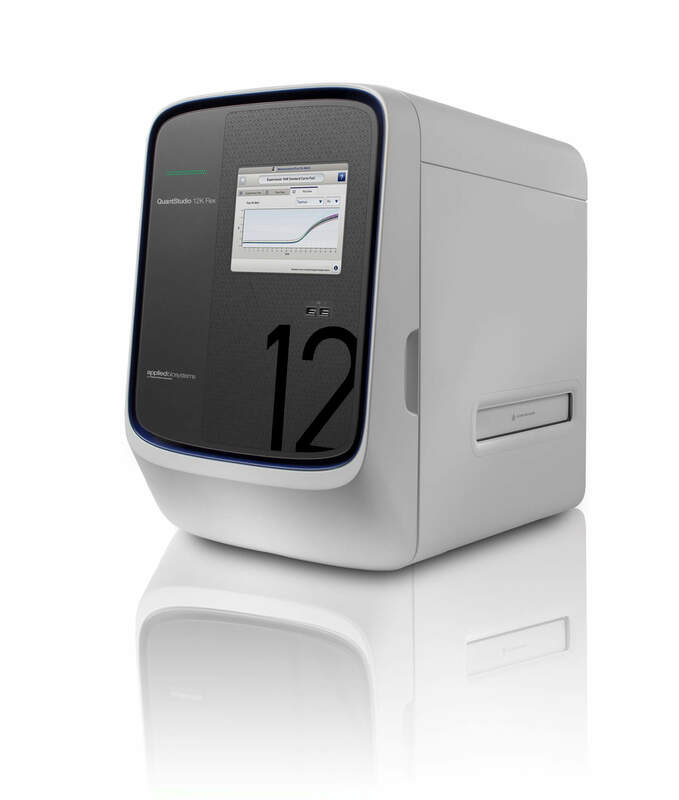 “New multiplex PCR-based diagnostic technologies aimed at faster and more accurate pathogen identification are increasingly used for detection of respiratory or gastrointestinal pathogens, yet testing for a multitude of pathogens directly in the blood is still at the research stage. This study demonstrated that new technologies can enable early and accurate detection of pathogens directly in blood samples. The engagement and coordination of a number of stakeholders, including regulatory, clinical practitioner, and the diagnostics industry, are necessary for implementation of such disruptive technologies for patient care,” added Elena Grigorenko, PhD, Vice President of Research and Development with Diatherix Laboratories, Eurofins Clinical Diagnostics Division at Huntsville, AL. To design this device, the first step required choosing regions on each of the pathogen genomes to target and short pieces of DNA to accomplish that targeting. These short pieces, called primers and probes, which achieve the PCR, were loaded into the OpenArray device. The next critical step was laboratory growth of the 30 pathogens and mixing each one of them with normal volunteers’ whole blood or plasma to mimic the blood from an infected individual. Once performance of the device was adjusted to maximum ability to detect these infectious agents in the mock clinical samples, it was tested with 92 donor samples obtained from a blood donor testing center with known pathogen content, as determined by FDA-licensed tests. Ninety-five percent of virus-positive samples were correctly identified. This OpenArray Platform is a research use only device and is not cleared or approved for clinical use. The article is “Highly Multiplex Real-Time PCR–Based Screening for Blood-Borne Pathogens on an OpenArray Platform,” by Elena Grigorenko, Carolyn Fisher, Sunali Patel, Valerie Winkelman, Phillip Williamson, Caren Chancey, Germán Añez, Maria Rios, Victoria Majam, Sanjai Kumar, and Robert Duncan (http://dx.doi.org/10.1016/j.jmoldx.2017.03.004). It will appear in The Journal of Molecular Diagnostics, volume 19, issue 4 (July 2017) published by Elsevier. Full text of this study is available to credentialed journalists upon request; contact Eileen Leahy at +1 732-238-3628 or jmdmedia@elsevier.com. Journalists wishing to reach the authors should contact Walter (Jim) Gardner, Office of Communications, Center for Biologics Evaluation and Research, Office of Communication, Outreach and Development, U.S. Food and Drug Administration, at +1 240-402-7800 or Walter.Gardner@fda.hhs.gov.